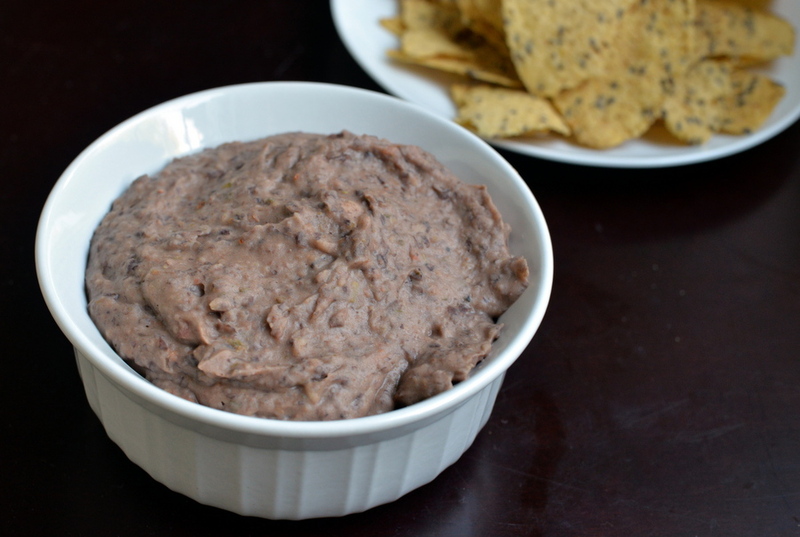 I didn’t even think I would post anything this weekend, to be honest, but I made this wicked awesome black bean dip for my cousins and it was gobbled up. I knew I had to share it soon. Black beans and salsa pair well together and one of my favourite soups I made in university was simply black beans, salsa, vegetable stock and cumin (here is the recipe). Remove the stock, add some fresh garlic and lime juice and the whipped beans make for an extreme delicious dip. One thing I also did differently this time was blend the beans while they were still hot. I know I have heard of a similar suggestion for making creamy hummus (possibly from Melissa Clark via The Kitchn but most likely one of Gena’s hidden tips (as seen here)) and this serendipitously made for the creamiest black bean dip I have made. 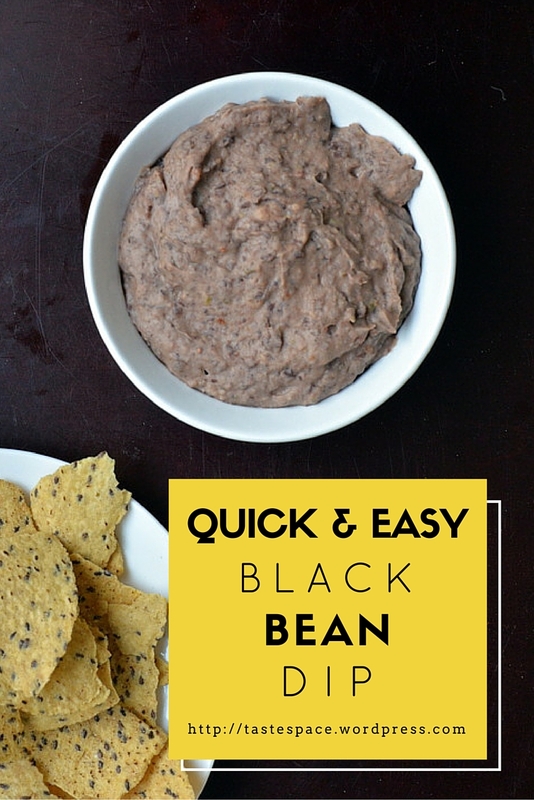 While different, it certainly rivals my favourite Jalapeno Black Bean Dip and definitely a lot cheaper. 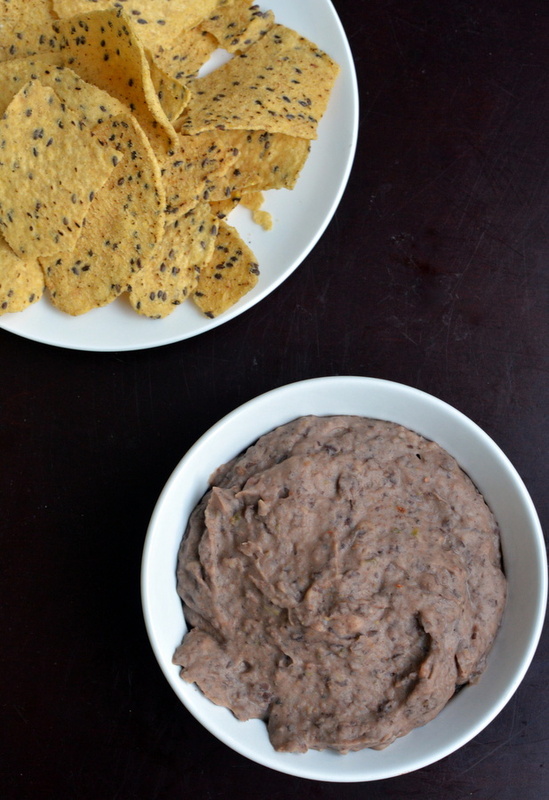 Do you have a favourite black bean dip? 1. If possible, make your own beans. 1 cup dried black beans will make 3 cups. Heat your beans in the microwave if canned or from the refrigerator. 2. While the beans are still warm, drain and place in the food processor fitted with its S-blade. Add salsa, garlic, lime juice, cumin, salt and sweet mesquite seasoning to the food processor. Process until smooth. These look so creamy! Wow. And salsa in a black bean dip? I usually just chop up tomato, but love the added flavour the salsa would give. Good tip with making sure the beans are warm!